A shot rings out at night during a cruise on the Nile and the body of a passenger is discovered in their cabin. Sounds familiar? Well, any similarities with an Agatha Christie-style whodunit are quickly dispelled as this splendid off-beat comedy thriller quickly gets into its stride. New Old Friends theatre company, who have previously created the likes of Crimes Under the Sun and the seasonal Crimes On The Christmas Express, have produced another comedy masterpiece with this hilarious homage to Christie's 1930s novel Death On The Nile. 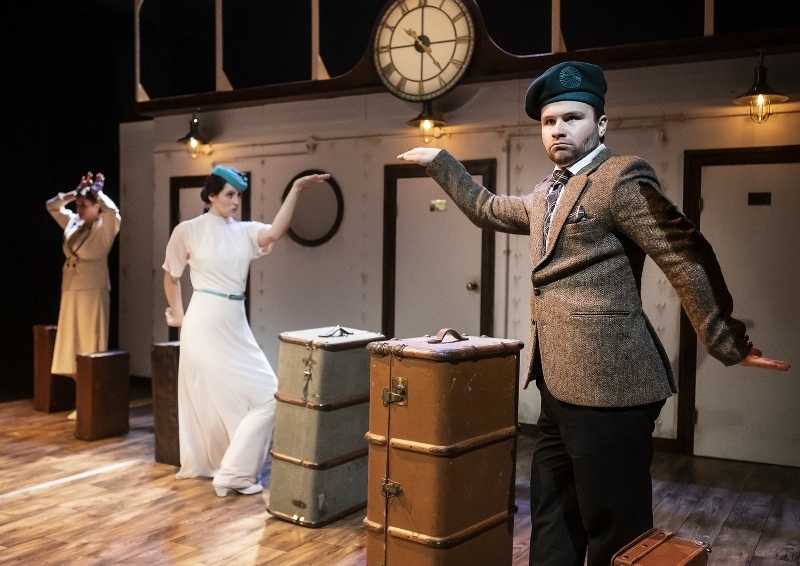 The excellent Crimes On The Nile, which is currently enjoying a three-night run at the Lichfield Garrick theatre (March 21 - 23) as part of a national tour, has all the classic murder mystery ingredients but with lashings of slapstick and comic mayhem running throughout. For Hercule Poirot read Artemis Arinae, the famed female Belgian detective who is enjoying a well-deserved holiday in Egypt to recharge her 'little grey cells' when murder strikes and she is called upon to find the killer. All the passengers and staff soon become suspects in the crime. 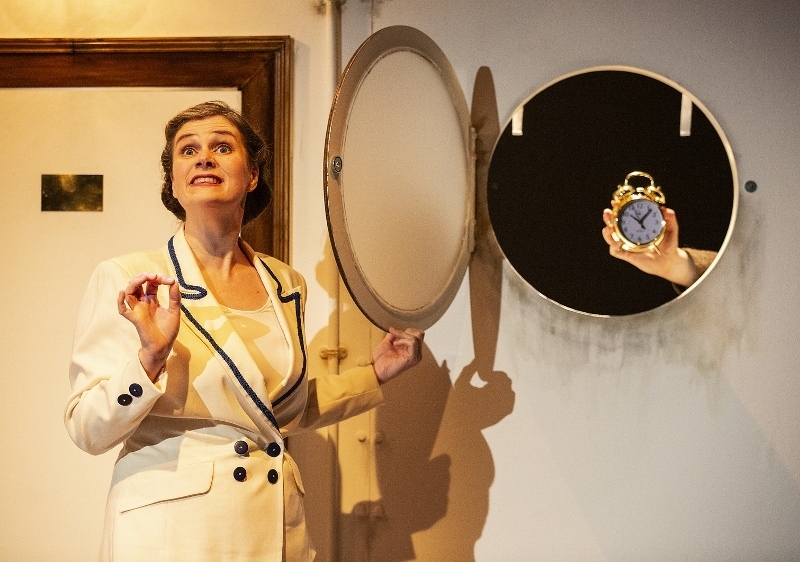 But you immediately know you are in for a fun-filled ride when Artemis, wonderfully played by Kirsty Cox, announces that the story is to rewind back several days - resulting in the entire cast hilariously and cleverly walking or jogging backwards, while the clock on stage also rewinds. I say 'entire' cast when, in fact, there are only four actors playing all 12 characters, both passengers and crew, who make up the story. As splendid as she is, Kirsty at least has the benefit of playing just the one character. 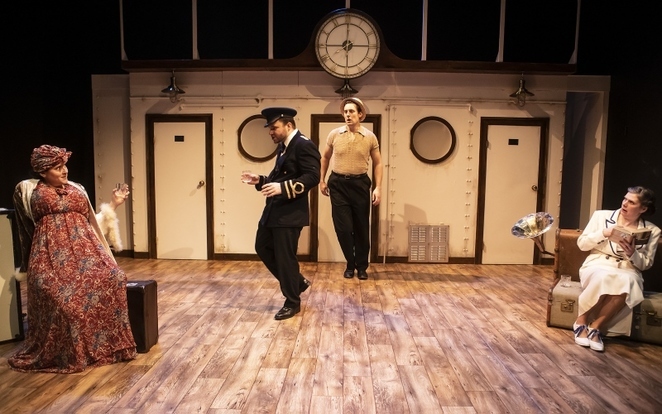 In contrast, the equally excellent Heather Westwell and Feargus Woods Dunlop, who together run New Old Friends, play four varied roles each, while the accomplished Fergus Leathem performs three wildly contrasting characters in ship's captain Max Winterbrook, Scottish lawyer Kirk McMiller and American steel heir Marty Montgomery Jr. While there is no shortage of 'super sleuthing' in New Old Friends' latest offering, the comedy remains paramount throughout. Hilarious highlights include Heather playing three of her characters - the ill-fated Aurora Lightly, Luna Campbell and maid Mimi de Menage - all at once in a brilliant quick-fire routine with the help of a towelling robe and a jar of face cream. A variety of fairly basic props are also used to illustrate everything from the Pyramids and the Sphinx to a crocodile and a camel race between characters Henry Lightly and Kirk McMiller. 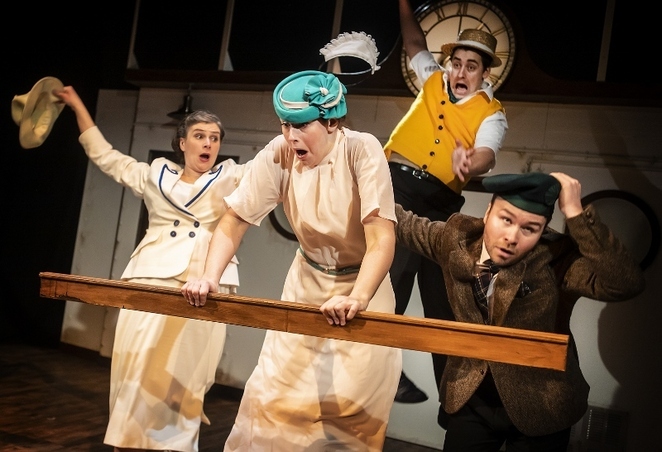 Crimes On The Nile continues at the Lichfield Garrick until Saturday 23 March. Tickets priced from £19 to £24 are available by visiting www.lichfieldgarrick.com or by calling the box office on 01543 412121.